King Charles III was adapted by award-winning playwright and television screenwriter Mike Bartlett (Doctor Foster, Press) from his Olivier Award-winning play for BBC Two, Wednesday 10 May at 9pm. The inventive future history drama reunites many of the creative team behind the original Almeida Theatre play, including director and fellow Olivier Award-winner and Tony Award nominee, Rupert Goold. 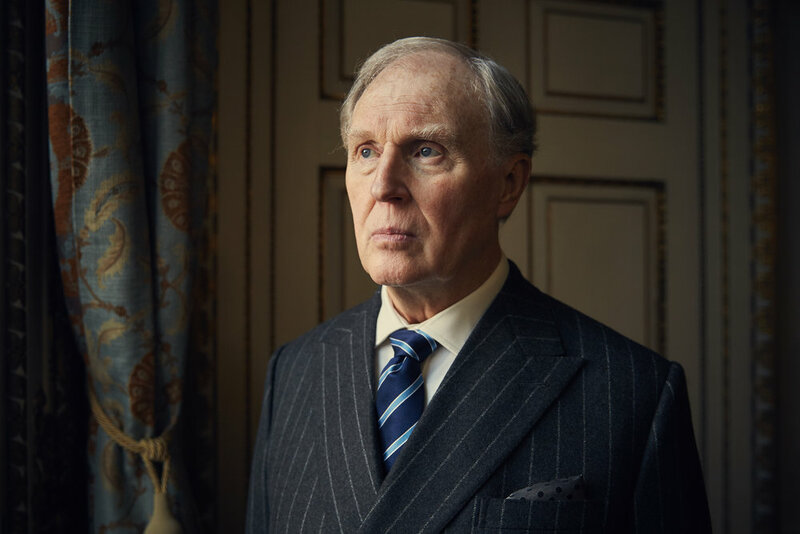 The late Tim Pigott-Smith returns to the title role of Charles, with Oliver Chris as William, Richard Goulding as Harry and Margot Leicester as Camilla. Adam James also reprises his role as Prime Minister Tristram Evans. Charlotte Riley joined the cast in the role of Kate Middleton, as have Priyanga Burford as Mrs Stevens and Tamara Lawrance as Jess.